Since 2013, ELECBUILD has offered building services for homes and workplaces across Colchester and beyond. The team, headed up by owner Chris Double, has many years of combined experience in the building industry and boasts a sizeable network of trusted tradesmen, contractors and suppliers to tackle projects big and small. From shop fittings and new build premises to property maintenance for domestic and commercial properties, you can rely on ELECBUILD to offer first-class workmanship and a comprehensive building and electrical service. The team works efficiently and in clean, safe environments to minimise wider disruption and has the experience to fully project manage entire domestic or commercial builds across Essex if required. With a diverse range of skills and services to call upon, ELECBUILD’s team of tradesmen, contractors and suppliers can carry out bespoke shop fittings that deliver on both a practical and aesthetic level. ELECBUILD’s team of trusted tradesmen includes professional painters and decorators with a track record of transforming domestic and commercial environments using great attention to detail. ELECBUILD can provide highly-skilled craftsmen to hand-make carpentry and joinery for new and existing building projects that transform interiors and create valued living and working environments. ELECBUILD works closely with Gas Safe registered plumbing and heating professionals to offer reliable service for any new-build or renovation project across Essex. 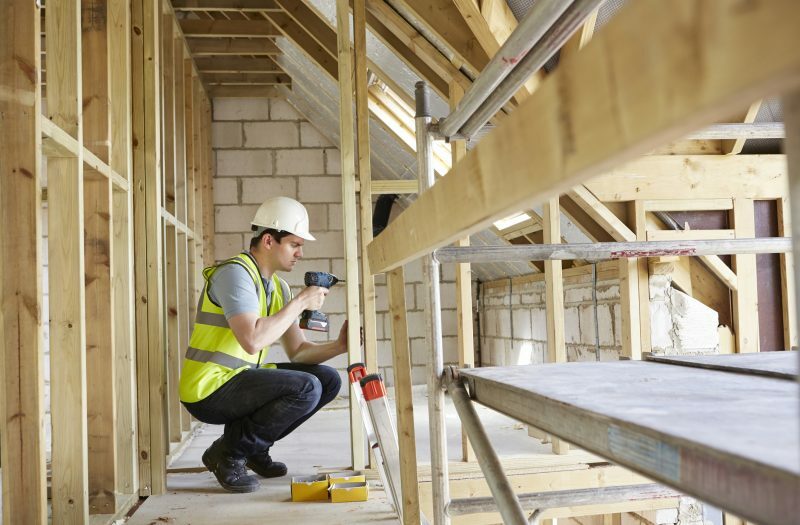 With decades of experience in the building trade, ELECBUILD can help unlock the potential of new and existing spaces with expansive property refurbishments completed to the letter with first-class workmanship. ELECBUILD offers a wide range of maintenance works for commercial properties throughout Essex, either planned or unplanned, as part of a one-off project or as part of an ongoing maintenance contract. ELECBUILD’s vast network of tradesmen, contractors and suppliers includes general property maintenance experts capable of clearing, tidying and maintaining property exteriors and interiors with impeccable workmanship and minimal disruption to others. For all building work in Essex, choose ELECBUILD for professional building and electrical services completed to the highest standards. For a free, no-obligation quotation for building work to your home or workplace, call us today on 01206 580363.